Simulations show even small stars can heat up fast enough to form colorful planetary nebulae. The full beauty of the Cat’s Eye Nebula (NGC 6543) is revealed in this new, detailed view from NASA’s Hubble Space Telescope. 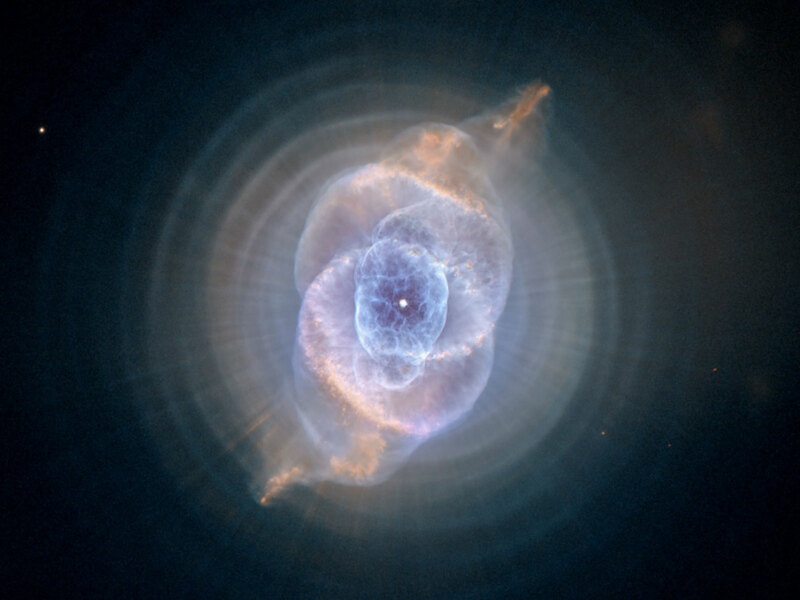 The image from Hubble’s Advanced Camera for Surveys (ACS) shows a bull’s eye pattern of eleven or even more concentric rings, or shells, around the Cat’s Eye. Each ‘ring’ is actually the edge of a spherical bubble seen projected onto the sky – that’s why it appears bright along its outer edge.